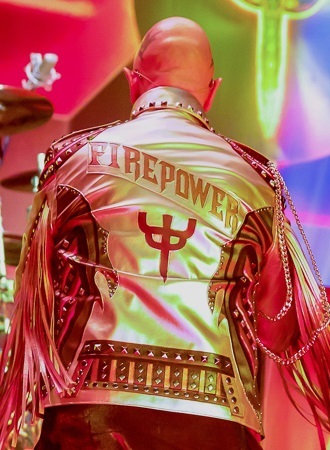 Judas Priest have been blazing across North America in support of the blistering new album 'Firepower'. 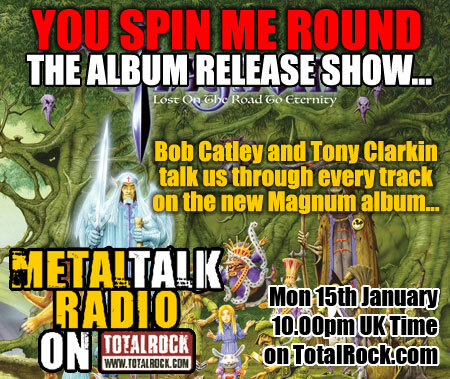 The record has been received with open arms across the globe and is already revered as the album that returned Judas Priest to their Metal throne. Since this date was announced, the Metalheads of Minneapolis have been buzzing about this show. The elephant in the room however, was the absence of Glenn Tipton, his inability to tour being due to illness. 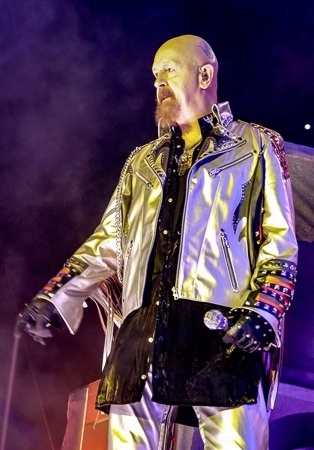 Social media was lighting up; could or even should Judas Priest tour without him? 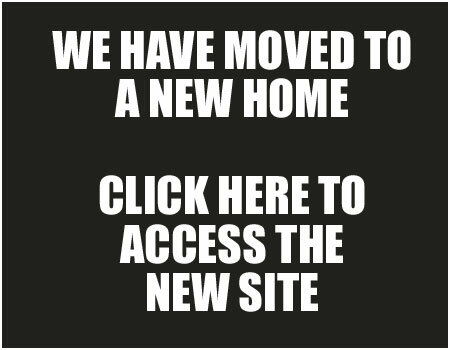 With KK Downing retired, both of the band's iconic original guitarists had moved on. This duo was responsible for giving this Metal machine its bite through stacks of amplifiers and burning fret boards, the sound they created intertwined within the very fabric of Heavy Metal. The lights dropped as 'War Pigs' rang loudly through the building and you could feel the anticipation for the curtain to drop resonate through the crowd. 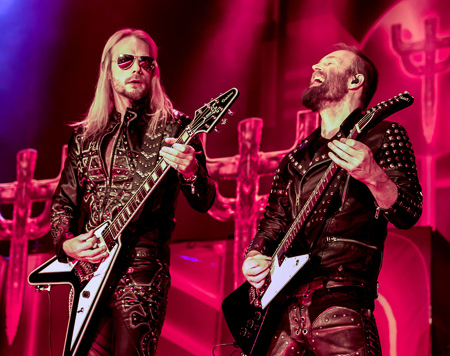 Judas Priest hit the stage with the song 'Firepower', just what the crowd was waiting for; Priest unleashed in Minnesota, and the fun was just beginning. The setlist would be a deep dive into the band's catalogue. 'Running Wild', 'Grinder', 'Sinner' and 'Saints In Hell' showcased the band's earlier history. The old-school fans absorbed every note while the new-school fans got a history lesson. My entry point to the band was 'Screaming For Vengeance' and I loved it when they played 'Bloodstone'. It's not a track I would have expected to hear but it sounded unbelievable live. Other highlights were 'Turbo Lover' and 'Some Heads Are Gonna Roll'. 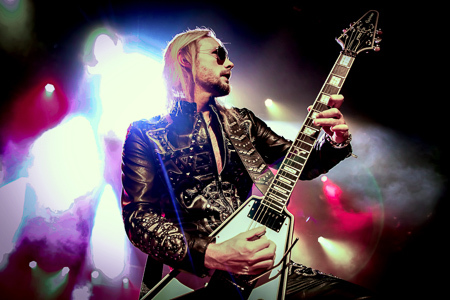 Both albums, 'Turbo' and 'Defenders Of The Faith', were pivotal in my early days of discovering Judas Priest. 'Firepower' was represented two more times with 'Lightning Strike' and 'Evil Never Dies'. The new songs were strong and fit nicely in the set that was loaded with the classics. The band were on fire and sounded fantastic. 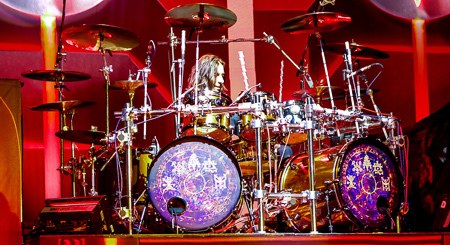 Scott Travis is a workhorse behind the drums and it looks effortless for him when he plays. He is having a great time smiling as he tosses sticks high into the air and then catches them. 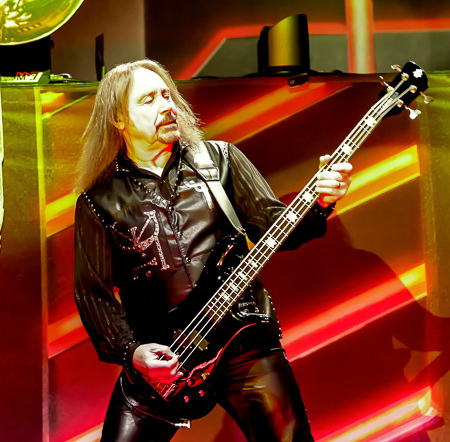 Ian Hill has been there since the beginning. His trademark stance and movement was still in full force and you really wouldn't want it any other way. There's no surprise when I say Rob Halford was absolutely spot on with his vocals. He looked good and moved around the stage while delivering the goods on every song. 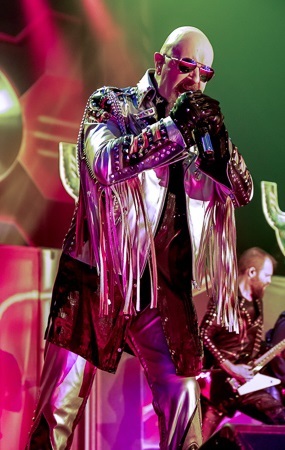 Along with Halford, Priest is known for guitars, guitars and even more guitars. 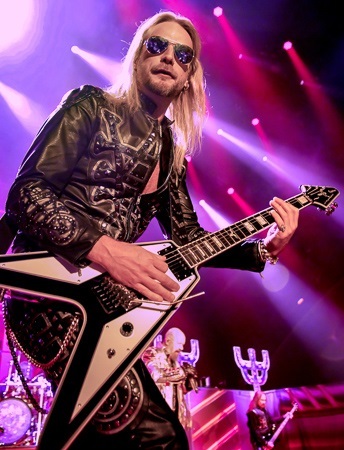 That critical ingredient was left to Richie Faulkner and Andy Sneap. Faulkner has been with Priest since 2011 after KK left the band. He is an excellent player and extremely entertaining and tonight was no exception and it's obvious why he is credited with revitalising the band, while Andy Sneap has been thrust into a difficult task as he fills in for Tipton. He proved to be up for the challenge as he played off Faulkner's guitar in complete unison. He looked comfortable and most of all he seemed to be having fun. The pair were truly awesome and kept true to the Priest sound. The big hits starting rolling one after the other. 'Breaking The Law', which still sounds amazing live, 'Hell Bent For Leather' with Halford riding the Harley on stage and the punishing 'Painkiller' brought us to the encore. The hallowed introduction, 'The Hellion', led us to the brilliant 'Electric Eye' and it doesn't get better than that song which combines an unforgettable riff with a hard-hitting melody and hook. 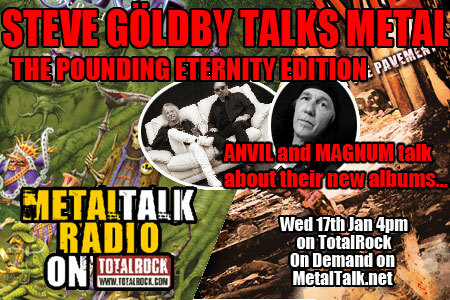 'Metal Gods' hammered next and then they played the monster break-through song 'You've Got Another Thing Coming'. A nice intro to the song gave it a slow build until they finally kicked it in. Closing the night was another signature cut, 'Living After Midnight', and the fans couldn't get enough of it. Judas Priest define Heavy Metal. It is Metal in its purest form, not crossed or fused with any other genre. Five guys, Rob Halford, Ian Hill, Richie Faulkner, Scott Travis and Andy Sneap brought a Metal meltdown to the stage. They not only defended the faith, but also a historic legacy. Everybody left with a great memory and a smile on their face. Isn't that want this is all about? Thank you Judas Priest.